A small family vineyard located in the Yamhill-Carlton AVA. It is the only vineyard situated in the unique microclimate of Moores Valley. Sylvanus means "Of the Forest" in Latin and the vineyard is surrounded on three sides by Oregon firs. Sixth and seventh generation Texans Lisa McDonald and Christian Eddleman found the ideal place in Oregon to put down their roots. They had studied cool climate viticulture and enology at Lincoln University in New Zealand, and spent some time in the New Zealand wine industry. The Sylvanus Estate Vineyard is right on the edge of Oregon's Coast Range. The 25-acre site contains three blocks, eight different soil series and rises from 450 to 700 feet elevation. The first block of Pinot Noir was planted in 2013 ("Home Block"). The winemaker is Drew Voit. 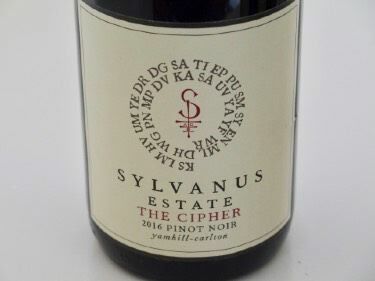 He says the Sylvanus Estate Vineyard offers the highest level of stem lignification he has ever seen in the Willamette Valley so he employs significant whole cluster fermentation. Visits and vineyard tours are welcomed. The wines are sold by allocation to a mailing list and wine club.